The complimentary resources at this website are available for our VIP clients, fellow BAS Agents, MYOB Partners and Bookkeepers here in Australia. In this fast moving world and sometimes overwhelming pace during our daily working lives, many of us have a need for quick access to information. The top menu TOOLKIT option provides a small snippet of what we use frequently and to this end we try and keep this information very much up-to-date. Our expertise predominantly embraces the MYOB AccountRight Classic v19 and AccountRight 2019 versions. Since 1966 Rick has been providing hands-on customer service and support for accounting systems. For the first ten years with Burroughs (USA) as a Senior Field Engineer in Australia, maintaining mechanical adding machines, cash registers and ledger machines typically used by the all the banks. By the age of 21 he was trained to service their mini main frame computers. For some 30+ years since the advent for off-the-shelf accounting software, Rick has been in the specialized area of providing support to small business, including bookkeeping, installing and maintaining IBM compatible hardware, networks and Windows software. In 1992 Rick became an MYOB Reseller Partner and in 1993 became one of the first MYOB Certified Consultants in Australia. Rick has always focused on the importance of exceeding customer expectations by developing simplified documented step-by-step instructions, thereby ensuring a more enjoyable end-user experience. To this end, in 1997 unbeknown to Rick a number of his clients nominated him for an award, which he was very fortunate to win, in the category of ‘Excellence in Customer Service’ – from the Office of Fair Trading (Department of Justice). Very much reflective of his dedication, passion and commitment to the whole of the bookkeeper industry and especially since the implementation of the GST, Rick was sponsored by the Australian Taxation Office to attend their first Bookkeepers’ Symposium in 2003. From the inaugural meeting in May 2004, Rick was appointed to the ATO Bookkeeper Industry Advisory Group, and in 2010 to the BAS Agent Advisory Group. 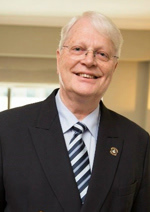 He is one of the founding members of the Institute of Certified Bookkeepers and was awarded Fellow status in 2012 and awarded in 2016 the first Australian Life Membership for his substantial and on-going contribution to the Bookkeeper and BAS Agent industry. In the past Rick has also provided input to the Microsoft Small Business Marketing Committee and with The Treasury 'Standard Business Reporting' working group, and is involved in the Current Working Groups for the ATO Consultation Activities and the Inspector General of Taxation Reviews. Commencing June 2000, Rick has organized hundreds of free small workshops and seminars that have attracted well over 6,000 attendees. His monthly hands-on workshops held at the MYOB head-office in Melbourne focused on sharing of resources with his fellow MYOB Certified Consultants which later also embraced Bookkeepers and since 2010 included fellow BAS Agents. These popular workshops extended to his home ground on the Mornington Peninsula and included free end-of-financial-year Bookkeeper seminars. Over the last seventeen years, content and resources he developed from these workshops have primarily focused on the existing BAS Service Provider legislation. Rick clearly identified and developed many practical tools and demonstrated procedures for ensuring a higher level of data integrity when using accounting software, including developing BAS Review checklists for end-users, plus other relevant Continuing Professional Education material. During this time, Rick has provided these free on-line resources via his original usergroup.com.au website for his clients and also the bookkeeper industry, the contents of which have now been transferred across to this bizresource.org website. In September 2018, at the MYOB Partner Conference held in Melbourne Australia Rick received a 25 Year Service Award. Gabi operated and managed the family "Danewood Park" breeding horse stud on the Mornington Peninsula for many years, before commencing her rewarding teaching career in the area of special education. Through her own business ‘Read the Write Way’ a one-on-one and small groups style tuition both privately at the office of BizEducation and selected schools on the Mornington Peninsula, she was able to fulfil a much needed professional service to children with severe to moderate learning difficulties. This extended to becoming involved as an associate with the Australian Dyslexic Association, member of SPELD and a committee member of several organisations involved in assisting children and adults with learning difficulties. Some twenty years ago while continuing to run the family horse breeding program, Gabi also operated her own debt collection agency ‘Peninsula Professional Credit Services’, where she even managed to author a publication 'Bad Debt Prevention'. 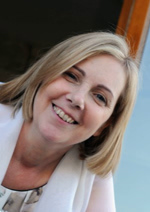 Since having teamed up with Rick late in 1996, Gabi has provided very dedicated and behind the scenes support for their combined understanding of the needs for the bookkeeping industry and subsequently in their BizEducation company as the Managing Director. Gabi has been invaluable in helping Rick organize and fund hundreds of free small workshops and seminars that have attracted well over 6,000 attendees. On the Mornington Peninsula these have extended to Self-Employed Bookkeepers, Accounting-Professionals, plus special end-of-financial-year public Bookkeeper seminars. The last couple of years Gabi has focused on a great deal of helping Rick research up-to-date information for this website.